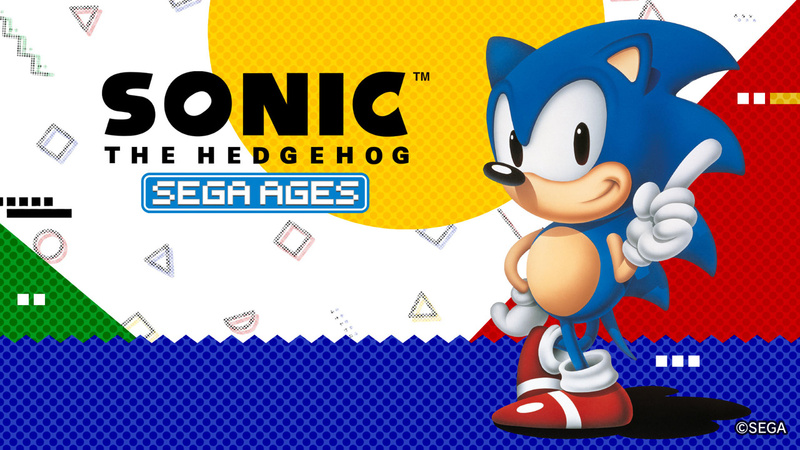 The first two titles set to appear as part of the Sega AGES range on Switch have finally received a confirmed release date. Both Sonic the Hedgehog and Thunder Force IV will be available on 20th September. The news comes from the latest issue of Weekly Famitsu, where Sega has confirmed the new release date after an initial delay - originally, the two titles were expected to launch in August. Pricing has remained the same as that initial announcement, however, with each game being available for 925 yen (approx. £6.30 / $8.30). The other previously announced titles - Alex Kidd in Miracle World, Gain Ground, and Phantasy Star - are still set to follow these two games at a future date, with the very recently revealed second batch of Sega AGES games expected to arrive even later still. It's worth noting that this announcement technically only covers the Japanese release date for the two games, although we'd expect other regions to follow on either the same day or thereabouts. Are you ready for some classic Sega on your Switch? Let us know below. I used to play Thunder Spirits on the SNES which was a port of Thunder Force III, so I kind of wish it were Thunder Force III, but I hope IV is even better. 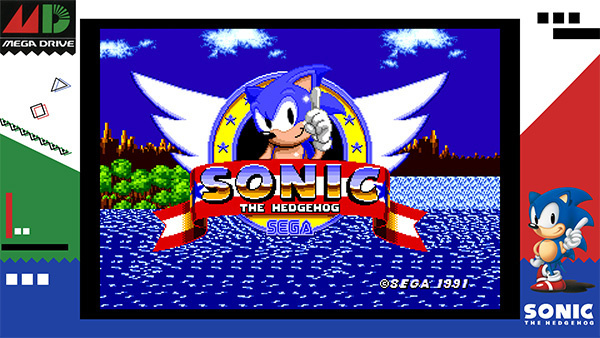 Thanks for the Virtual Console SEGA! I'll wait for reviews, I don't really care much about the "new features", but I guess I'll buy some of them to have them on the go. 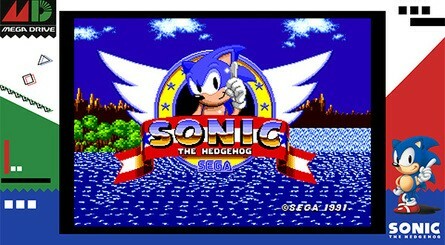 Sonic will be the nth time, but it's one of the games of my life and I'm always in the mood for playing it. Besides, that more difficult Mega Play version included could be nice. @Giygas_95 Thunder Force III is one of the recently announced ones. It will eventually come. Looking forward to the 22nd of September where they will tell us "major" news regarding the AGES line. Bring it on Sega!!!! My wallet is ready!!! Awesome, looking forward to it! Hoping this extends beyond Mega Drive games soon too. With how the 3D Classics program went on the 3DS, I'm not so sure why NintendoLife is so confident that these will even be coming out over here, let alone a same day release or close to one. 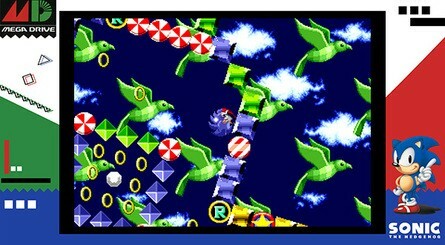 I can't justify a quintuple dip of Sonic the Hedgehog, can I? @OorWullie Nice! A purple car, though? @Atariboy Well, on the Switch that's not a problem, you can always buy the japanese version. On the 3DS it's a lot more complicated, I've given up on the idea of getting the 3D Classics Collection Final Stage myself, because it would require a japanese 3DS or too complicated methods for me to do, plus the game itself. A lot of money. @Bunkerneath Me too. I have it on Mega Drive, 3DS and Saturn, "only" three times, and I'll have it on Mega Drive Ultimate Collection when I can grab it, but strangely I still want it on Switch. @Atariboy They've already announced they're coming to the West. They also said they will be released soon after their Japan. release. Hopefully that means a week or 2 at most if not the same day. @Moroboshi876 Never noticed that! Perhaps there is an option added that let's you change the colour of the car? @OorWullie I never saw confirmation, but I'm glad to hear that and hope it's true. 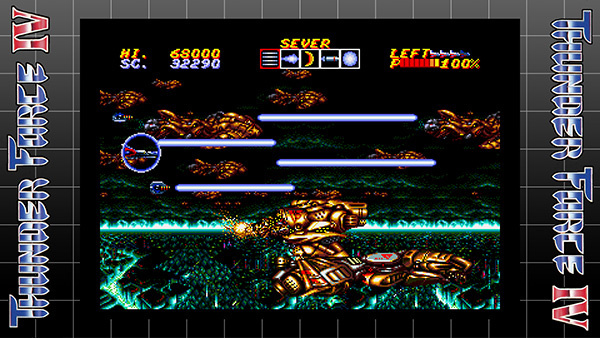 Thunder Force IV is an epic game! Well it's about time... it was meant to be out last month. @Moroboshi876 Outrun still has a red car. It just has color choices now as an option, as seen with the 3D Classics conversion that this clearly is a Switch port of. And it's great that the system is region free and the Japanese eShop is accessible this time around, but it is a bit of a problem. The menu system for the Japanese 3D Classics releases wasn't in English and was confusing to navigate. Plus not every game here is guaranteed to be import friendly like Outrun. I for one wouldn't consider something like Phantasy Star if the in-game text wasn't in English. Not to mention that a domestic release is just more convenient in general, so hopefully Sega has western fans covered this time unlike the pitiful way the 3D Classics program was mishandled outside of Japan. @Atariboy Yep, they announced they were coming west not long after the original Japan release. They were originally supposed to arrive in the summer though. @OorWullie That article seems familiar, so I think I did read it but had forgotten about it. When you want to buy Thunder Force IV for Switch but don't want to get expensively piecemealed as usual. I'm still holding out for a potential physical Neo Geo Collection on the cheap later on. @SegaBlueSky Already has gone well past Genesis games. Of the 10 announced games, 3 are confirmed as Genesis releases, 2 are Master System games, 3 are arcade games, and the heritage of 2 remain to be confirmed as far as I know. Columns 2 is likely a port of the arcade source code rather than the Saturn version, but I'm unaware if we yet know which one it's based on. And Thunder Force IV has features of both the Genesis and Saturn versions of the game, so I don't yet know the heritage of it. I suspect with the latter that we'll have to wait for hopefully a continuation of those excellent interviews with M2 that each 3D Classics release had to get confirmation on the heritage of this one. It's a shame Sega doesn't go all out on these releases, especially with fans who have purchased these titles many times over the years. Sonic, for example, could contain the original, the widescreen mobile version, and the SMS port if they really wanted to do some fan service. But these look like run of the mill cash grabs to me unless there are some features yet to be announced. @Atariboy If they can't be straight ports of the arcades, which I would consider to be the best option, I'd prefer new versions, so if you saying Out Run will be a port of 3DS version is based on a reliable source, I think it's a pitty. I was hoping it to be the arcade version, and if not... a new version with tweaks of its own, but a port of a recent version, in a bigger screen but without the 3D effect, I don't know if I need that. Of course I wasn't expecting to see actual Ferraris, but still. The 3D Classics being mishandled outside of Japan... I don't know, but they released the second compilation and apparently sold poorly, it was clear the third one wouldn't come. The first maybe didn't have games that were so appealing and they decided not to release it. Anyway if it had been a success all might be different now. I still think these Sega Ages will get a collection some day, but we will have bought them digitally by then, won't double dip and it will sell bad. At least the Japanese users will have it, of that I'm sure. So, time to wait for an announcement? How long can we wait and not buy them digitally? That will depend on each one of us. For me there's no hurry. @sleepinglion I think they could have made it into a retail compilation, especially as they're going to be just 13, but otherwise they have announced features for all of them. I hope there is an option to remove the borders and go full screen. Outrun needs to be full screen! @Moroboshi876 imo the 3DS Outrun is The Arcade Version (without the Ferrari) if you turn off the 3D. Or did I misunderstand? I'm not getting Sonic. Mania fills that gap and more, but some of the others I will definitely buy again. Space Harrier on the Switch is right up my street! As far as I'm aware, the 3DS version of Outrun is the arcade version but it was rebuilt so it would run at 60fps compared to the arcade version which ran at 30fps. This HD version will have online leaderboards too so it really should turn out to be the best version of the game available. The 3DS version is similar to the arcade, but doing a podcast about Out Run with friends that know about video games much more than I do, it was clear that there were differences, such as difficulty, that is lower (although it can be tweaked in the settings). The closest to the arcade? Yes. Saturn version was considered to be that before 3D Out Run. But a real arcade port would be having to "insert" coins and no options whatsoever. Even Hamster releases have features that weren't present in the arcades, but you just have to play original game and pass on Hi-Score and Caravan to get the closest experience. @Moroboshi876 Outrun for the 3DS was a port of the arcade game. It was enhanced, but all the enhancements were optional if for some bizarre reason someone objected to them (Nobody in their right mind after playing Outrun in widescreen 60 fps, would revert back). 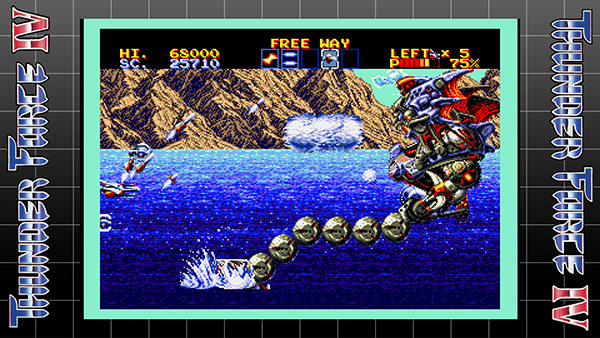 It was converted for true widescreen (Not stretched or cropped 16:9), but can be set to 4:3. It was converted to 60 fps but can be set to the arcade's 30 fps. It has optional car colors but you can stick to traditional red (What I've always done on the 3DS). It has two new songs but you can just stick with the classic three. The only difference is the Ferrari is Sega's non-infringing modified design that classic Outrun rereleases use to avoid the need for a Ferrari license. As for mishandling the 3D Classics line, I wasn't even particularly talking about the compilations. The standalone digital downloads were always about a year behind Japan and we never even got the last wave. Sega could be forgiven for the compilations not all appearing if the volume we did get sold poorly, but no excuse to leave the last batch of releases off the eShop or the 12 month lag time and doubt over each wave appearing in the west. @Atariboy I agree about 3D Classics line. They should've brought at least the digital versions of the last ones. But I think the problem is some where exclusive to the retail version and didn't get released as standalones, just like happened with the second compilation. I ended up buying Super Hang-On and Gunstar Heroes last time they were on sale, but would have liked to get Champion Boxing and Girl's Garden. Not the best or the most popular ones, but precisely for that. For their obscurity. Anyway, let's see what this Sega Ages line brings us. here we go again, reselling the 3ds ports once more... Too expensive, too much of the same. Just want Daytona USA and the Arcade Shinobi. @Moroboshi876 The arcade version always had options. Tons of settings that could be fiddled with by each arcade operator. I'm not sure why you're objecting to something like this change, especially when it's just an option. Everybody wins with options like this. Purists get an accurate presentation and those that aren't against enhancements get to enjoy classic arcade Outrun in true 16:9 with no distortion of proportions or by cheating by cropping the screen vertically and zooming in. M2 appeals to both camps with their very customizable ports of classic Sega games. For instance if your father was in the navy and your family lived in Japan when Outrun was new, maybe your memories were playing the Japanese cockpit version of the game. Well guess what you can do in M2's conversion. You can set it to just that specific revision of the game with the Japanese layout and the subtle differences of the cockpit version. You even had the option of the sounds of the hydraulic motion system recorded from an original Outrun machine. Sweet. Not bothered about Sonic again but Thinderforce IV is a classic IMHO, and a Day 1. @Atariboy Maybe I'm an exaggerated purist. I repeat, I love 3D Out Run. I just say the arcade version would be having to insert coins (although virtually) and the options, as you say, would be operated by the arcade owners, never the users, thus making arcade games optionless at the end of the day. But seriously, I'm not trying to make an enemy here. I just gave my opinion. @Moroboshi876 I'm sorry if my posts took a negative tone. Very much wasn't my intention. I enjoyed debating this with you. Feel free to do it again if I didn't scare you away this time, lol. And I agree with you, I want the original insert coin in the attract mode. Instead I think the 3DS version says "Press X", if I remember right. Just doesn't seem right and I agree with you. My 8bitdo modded genesis controller is ready. Hit me already. So Sega Ages, is going to be a similar thing to the NeoGeo Swtich games? They made Virtual Console a reality. I'm still holding off for Gain Ground and Phantasy Star, but it's nice to finally know when these start coming out. I'm just hoping they're not drip-feeding the initial titles to us over the course of like 3 years or something. Any chance that all of these games will be under one "umbrella" app... like what Zen does with Pinball FX? Or will every single release be its own app on the Switch menu? It would be awesome if these Sega games, the Neo Geo games, etc were contained within a single app. So, 40+ SMD games on other consoles cost 20 bucks. 40 SMD games won't even be present on Switch but when they will, they will cost 280 bucks. I can buy PS1 games on the Vita for 3.99. I can buy Xbox Classic games on the One X for 3.50. I still have my Sega Megadrive machine from the '90s but no way I'm gonna buy these games separately for that much. Give me a collection for a fair price. I'm done buying 20 year old games apiece for the umpteenth time for ridiculously inflated prices. @Dazzle Kind of similar. They will release 2 per month and going by the Japanese price will cost about the same as a Neo Geo game. 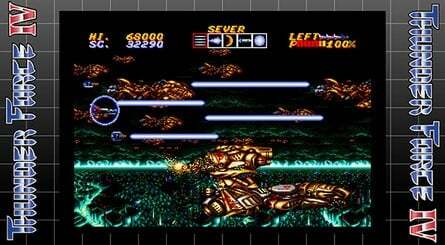 The difference is these will have some enhancements, Outrun runs at double the frame rate and has wide-screen, TFIV will have a ship from the Saturn version, Phantasy Star has several quality of life improvements and so on. If the initial batch of 15 are successful enough for SEGA then they've said they will consider Saturn and Dreamcast games too, perhaps even later arcade games. So after all the games had been released for Japan, will we be getting them through a compilation then? We better, I don't want to have to download them and sacrifice more of my Switch space. Can't wait for the 2 Thunder Force games and i'm sure i'll also pick up some of the others. So no news of a release date in the West yet? It shouldn't take much time, it's not like these games requiere localization nor they haven't had the time to translate the menus since first announced them, right? Sonic the Hedgehog and Thunder Force IV debuted worldwide on the same day, right? I don't see why Phantasy Star wouldn't.